The Profit and Loss Statement is one of the most important components to the successful sale of a website. Showcasing a poorly structured or inaccurate Profit and Loss Statement can leave your website significantly undervalued, or even worse, unsold. In this post, I’ll explain how to create a Profit and Loss Statement when preparing your website for sale, as well as provide access to a free Profit and Loss template and real Profit and Loss statement examples from actual websites that sold for more than $10,000 on Flippa. Revenue – Expenses = Net ProfitTo elaborate, the Profit and Loss Statement is a financial document that categorizes the revenue and expenses of a company over a specific period of time, usually the trailing twelve months (TTM), in order to determine its profitability. Does my website need a Profit and Loss Statement? Yes. In addition to being a good business practice in general, if you ever decide to sell your website the Profit & Loss Statement will almost always play a critical role in the valuation, and it is also generally the single most requested financial document by potential buyers. Inaccurate or incomplete Profit and Loss Statements can prevent buyers from completing due diligence, which can in turn lead to a plummeting website valuation. My website doesn’t make any money, do I still need to provide a Profit & Loss Statement? Yes. Even if your website does not make money, it probably has recurring expenses such as domain registration, hosting, etc., and potential buyers are entitled to know about these expenses. As a transparent seller it is your responsibility to be forthcoming with a reasonable Profit and Loss Statement that they can evaluate. Some website owners don’t have financial records and some believe a Profit and Loss Statement is irrelevant to their sale. I often encounter sellers who believe their websites should be valued based on the traffic, the domain name, the size of the userbase or customer list, or some other non-traditional valuation method, and because of this, they are reluctant to fill out a Profit and Loss Statement. Buyers value transparency. If they feel you are withholding financial information or aren’t committed to the sale, they will decrease their valuations and/or move to another market opportunity. If you want to maximize the value of your website sale, then it is almost always to your advantage to create a reliable Profit and Loss Statement. If there is any uncertainty in your records, do your best to hash it out, and be upfront with buyers about all discrepancies. In the following guide, I’ll show you how to create a Profit and Loss Statement by taking you through this free Profit and Loss Template step by step. This template is meant to be a starting point and should be modified to accommodate your individual business. If you have an eCommerce business with inventory you may wish to use this eCommerce Profit and Loss Template. 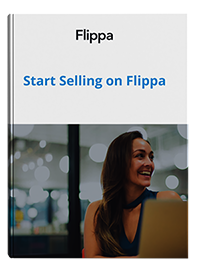 If you are claiming revenue on Flippa, then you must be able to provide proof of that revenue. Proof is typically provided by producing screenshots or video walkthroughs of backend reports or related accounts. If, for whatever reason, you cannot provide proof of some amount of revenue, that revenue should not be included in your Profit and Loss Statement. Before you can perform an accounting of revenue or expenses, you need to establish a timeframe of analysis. Because websites are especially prone to financial volatility, buyers in this industry are concerned with recent financial performance. Seasoned website buyers prefer an accounting of the trailing twelve months, and because of this, that is how we have structured the included Profit and Loss Template. Note: If you have historical financials records outside of the trailing twelve months, click to the historical financials tab, and add these records into the spreadsheet. Depending on the size and type of your business you may have multiple revenue streams, only one, or none at all. In the below Profit and Loss Statement example, we can see that the business is monetized via Google AdSense and Direct Advertising. Feel free to modify the revenue section of your Profit and Loss template as you see fit. The list of income streams is not meant to be exhaustive. If you need to add new income streams not already mentioned, or if you simply need to modify the existing sources, do not hesitate to do so. The purpose of this section is to communicate the financial performance of your business to prospective buyers as effectively as possible, and each business is different. The Profit and Loss Statement can vary slightly depending on the Business Model. For instance, advanced eCommerce businesses may require a P&L with a Cost of Goods Sold section to better account for inventory. So again, be prepared to adjust your P&L as needed in order to best accommodate your business. In this example, we see that the primary expense is salaries, followed by Writers and nominal web hosting and domain registration costs. Most websites are valued based on a multiple of earnings known as Seller’s Discretionary Earnings (SDE). SDE is the TTM net profit excluding income taxes, one-time expenses, and owner’s compensation. The Add-Backs section of the Profit and Loss Template provides an opportunity for the us to add back one-time expenses and owner’s compensation so that we can arrive at the net profit on an SDE basis. The idea is that these expenses will not carry over with the sale of the business, and so they should not affect the profitability by which the business is to be valued. The Add-Backs section (also known as the “normalization” process) can be a point of contention during a sale. Sellers are incentivized to argue for broad interpretations of one-time expenses, and buyers are incentivized to argue for a limited interpretation. Ultimately, the key to getting a deal done is to be reasonable. The last step of the Profit and Loss Template is to calculate profitability. Taking the results of the example Profit and Loss Statement from above, we can see the upward trending Monthly Revenue and Monthly Profit. Pulling it all together, we end up with an example Profit and Loss Statement similar to the following. To provide more practical insight, I’ve compiled the following list of real Profit and Loss Statement examples from actual websites that have sold on Flippa. To exemplify the differing types of P&L’s that may be required, I’ve broken the list down by business type. Dealflow is a full service white-glove Website Brokerage specialized in the sale of web properties ranging from $100,000 to $15,000,000. Their team of qualified website brokers have both educational and professional experience in Accounting and Financial Management, so you can be sure they’ve got the skills needed to help you create a clean and polished Profit and Loss Statement.